On Monday 19th September, Brettenham pupils were delighted to have a visit from Christa Cullen a GB Hockey Team Gold Medal winner at the Rio Olympics 2016. Christa visited all the classes and spent time in our assembly to talk to the children about winning the Gold Medal with her Team and her experiences over her career. Crista Cullen made her senior international debut for England in 2003. She was part of the Great Britain squad which won Bronze at the 2012 Summer Olympics in London, as well as the England squad that won Bronze at the 2006 Commonwealth Games in Melbourne. [She was named in the International Hockey federation World Star XI following the 2006 Hockey World Cup, as well as 2006 Great Britain Hockey Athlete of the Year and Hockey Writers' 2005 and 2006 UK Hockey Player of the Year. She retired from international hockey after the 2012 Summer Olympics, aged 27. She earned 171 international caps. She came out of retirement in 2015 to join the Great Britain team for the 2016 Rio Olympics and played an instrumental part in a team that went unbeaten throughout the tournament, eventually winning an Olympic gold medal. She has played club hockey for Leicester, based at the Stoneygate Preparatory School in Great Glen. "how to give the best of oneself, on the field of play or in life; taking part; and progressing according to one's own objectives." Our very own "mini Olympians" showed excellence during the Borough Athletics 2016. They qualified to the finals where the year 3 mixed relay team won a silver medal, year 3 Paul Afolabi won a silver medal in the 50m sprint, Kwabena Safo won a gold medal in the year 4 boys 60m sprint and Aaliyah Nankya won a bronze medal for the second year running in the year 6 girls hurdles. Everyone who competed were a credit to themselves and to the school. Well done! On Wednesday 22nd June and Friday 24th June 2016, 420 children from reception to year 6 competed in our new Olympic themed Sports Day. The children competed in their house teams in different activities ranging from gymnastics to Boccia, basketball to blindfold relay. They showed great team work, sportsmanship and leadership when working with the younger children within their team. All the points were collected at the end and we can reveal that the overall winning team were Topaz. Well done! 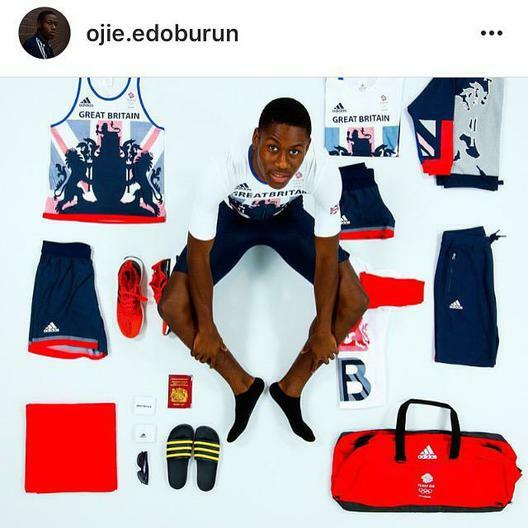 We are proud to announce that our very own former pupil Ojie Edoburun has made the mens 4 x 100 relay British Olympic team for Rio 2016! We wish him the very best of luck and will be cheering him on as he competes .